A professional-looking website is the lynchpin that holds your digital presence together. From telling the world what you do to making sure you’re found in the first place, your own little corner of the internet needs to work hard for you. At Hullo Creative we create simple yet effective websites that are easy to update, putting you firmly in control. Because of the range of talent in the studio we can help you with branding, copywriting, graphics and video, as well as the website design and build itself. We’ll support you through the whole process and can project manage it for you too, meaning you’ll receive a finished site that’s ready to go live. 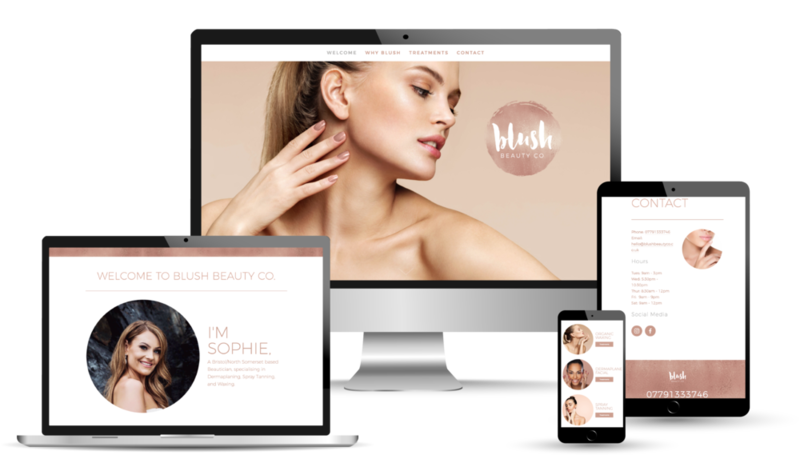 We build websites using Squarespace, a platform that is as easy to use as it is beautiful to look at. As members of Squarespace Circle we are officially approved specialists, with years of experience under our belts. Once your website is built, you can book onto one of our workshops to help you make the most of your new site. Or choose one of our ongoing maintenance package to keep us on board and ensure you’ve always got expert support to hand. Want to receive our top tips, advice and how to's to help your business? I had such a great experience at Hullo Creative. I worked with Emily to create a website for my new business K interiors. Emily was so easy to work with and the whole process was effortless.